Wether you’re building it yourself or hiring a contractor, these Deck Designs are a great place to start. Each design is complete with suggested deck sizes, substructure joist placement and a variety of plank layouts to help you make it your own. Cali Bamboo provides these designs as inspiration only, and recommends any construction project be designed with accurate and detailed plans to code where required. Have a design worth including? 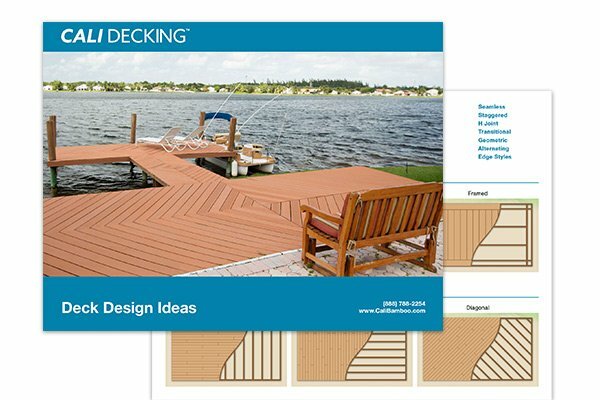 Email us your deck design and we’ll add it to this page.